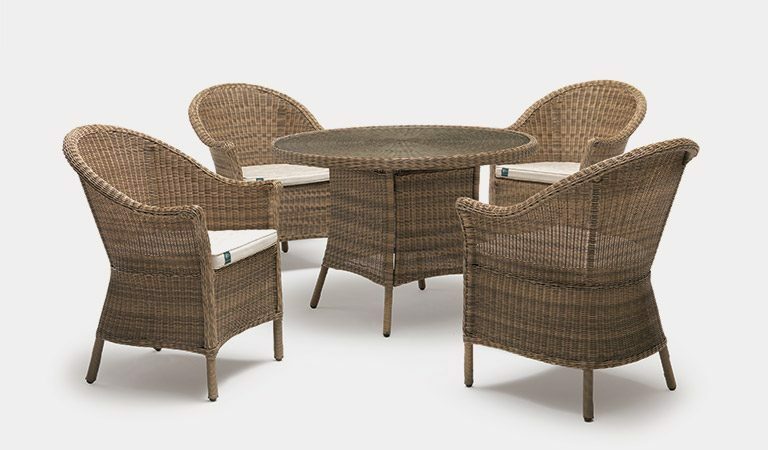 The RHS Harlow Carr 2 Seater Bistro Set is a beautiful synthetic wicker garden furniture set. Two can dine in a quiet, romantic corner of your garden. 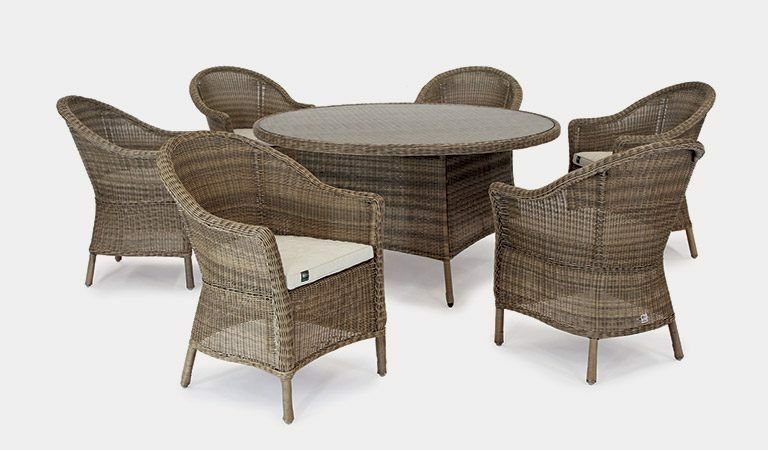 Enjoy some alfresco dining or afternoon tea in the luxury of the handwoven wicker. 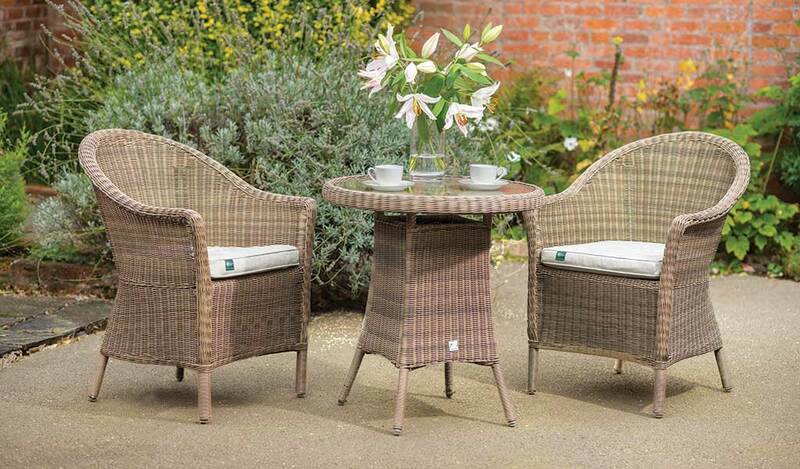 Relax into the RHS Harlow Carr 2 Seat Bistro Set with friends and family as you unwind in your garden. 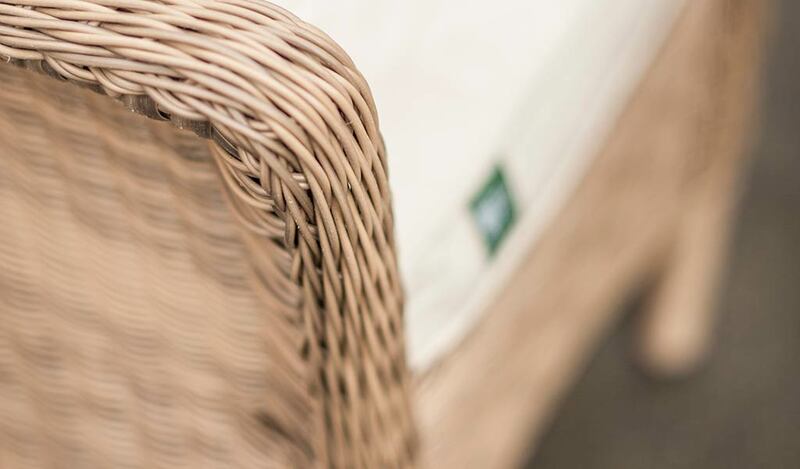 RHS by Kettler Harlow Carr mixes natural coloured, handwoven wicker with delicate, bright cushions for the perfect garden furniture. 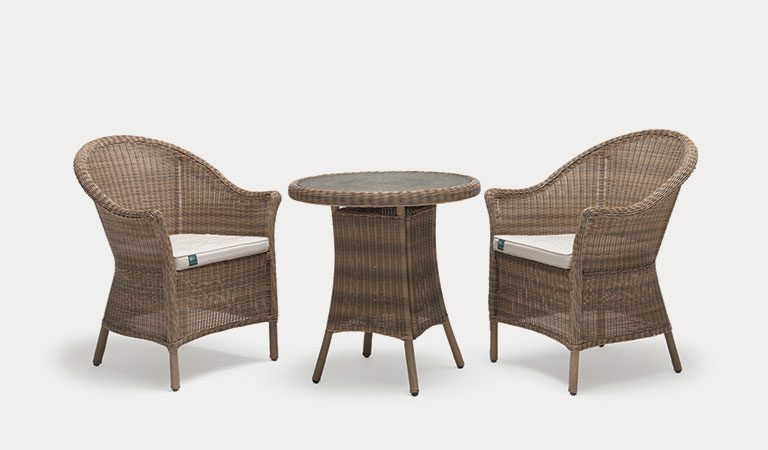 The RHS Harlow Carr 2 Seat Bistro Set features added style through the intricate RHS branded stitching on the comfy, cream seat pads. This elegant detail gives the 2 seats an eye-catching spark that makes it so perfect for any proud gardener who loves their outdoor space. Made in partnership with the Royal Horticultural Society, KETTLER are proud of their new collection. 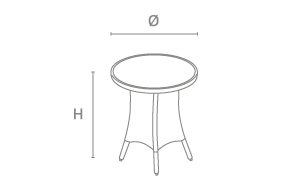 The bistro table has a round, glass top with a durable aluminium frame keeping it strong over many seasons. With the natural colour and the RHS logo, everyone with a passion for the outdoors will love your furniture as you relax and dine in your home-grown paradise. 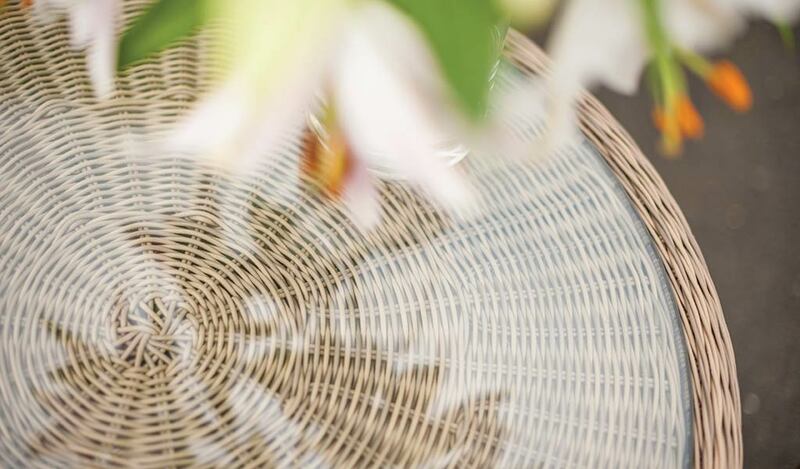 Handwoven wicker uses high quality 3mm wicker onto an aluminium frame. Maintenance free and weatherproof so can be left outdoors all year round (excluding cushions). 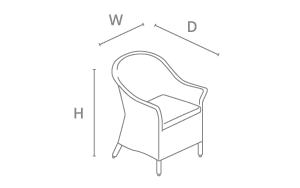 Includes high quality seat pads with intricate RHS branded stitching.